Zeus is a three year old English bulldog who was surrendered to Buddies Thru Bullies along with another dog. He didn’t have a very good start in life as they were living outside and had been used for breeding. In spite of that Zeus is a very people oriented fellow just wanting love but lacking in a few social graces. He’s now heathy, heartworm negative and neutered. We know he’s going to be an A student and ready for a wonderful home soon! 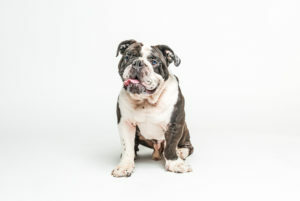 Call 305.773.2539 or send a private message on their Facebook page (https://www.facebook.com/BuddiesThruBullies/) to get more information about adopting Zeus.